The Empty Stadium: Can new stadiums propel an entire league? Just in the past two days, developments for two more soccer-specific stadiums have progressed after zoning and city council approvals. The Houston Dynamo are moving forward on their plans to build a stadium in downtown Houston and the San Jose Earthquakes have secured redistricting rights to build their own stadium in southern San Jose. Both projects are estimated to be completed in 2012 and both plan to use private funding. 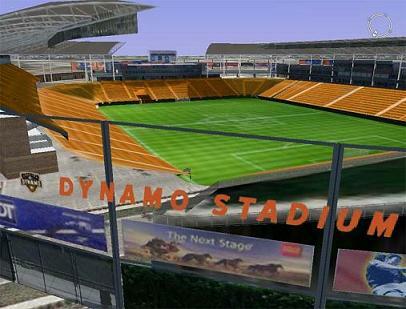 Houston's new 21,000 seat home would include the team's own practice facilities, a first for the Dynamo after several years of shared field space and locker rooms with the University of Houston. Currently, the Dynamo play their home games in the University's Robertson Stadium, a 32,000 seat football stadium built in 1941. 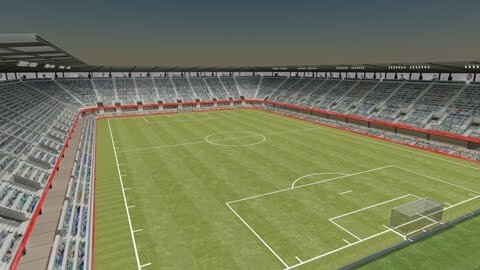 Meanwhile, the 'Quakes will build a 15,000 seat stadium - with the ability to expand to 18,000 seats - as long as owner Lew Wolff can procure the $60 million needed to fund it. He plans to use naming rights and commercial sponsors to help raise the money. Renderings of the proposed Earthquakes stadium. 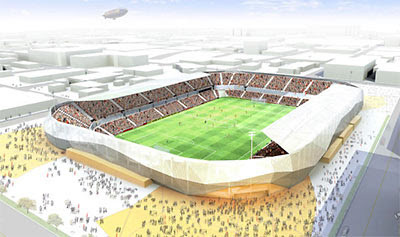 talked about implementing a "European feel" to the stadiums. In addition to the new stadium project currently being built in Kansas City, if the stadiums in Houston and San Jose are completed on time, then the 2012 MLS season would feature 18 (including 2011 expansion squads in Portland and Vancouver) teams and 14 soccer-specific stadiums. These numbers include the 2011 expansion squads in Portland and Vancouver that are redeveloping former stadiums (PGE Park and BC Place). Roughly $31 million will be used to re-design Portland's PGE Park. 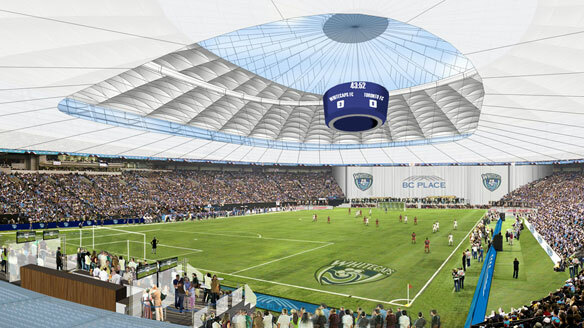 Portland's PGE Park will be a soccer-specific stadium while Vancouver's BC Place will be renovated with the goal of providing a soccer-friendly space, namely, the league's first retractable-roof stadium. be further developed to create a better soccer environment. 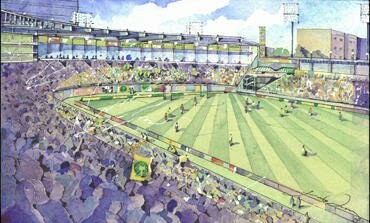 The teams on the outside of the soccer-specific stadium movement? The New England Revolution, DC United, Seattle Sounders, and the Vancouver Whitecaps (only technically). It should be noted, in addition to discounting Vancouver from that list (especially since they have plans to eventually build a soccer-specific stadium downtown), the Seattle Sounders led the MLS in attendance last season and seem to be satisfied playing their home games in Qwest Field. 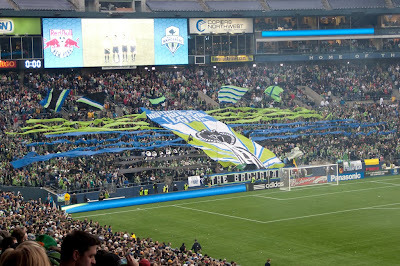 Last year, they averaged 30,000 fans per game and that number will likely increase this season, as the Sounders recently announced they were able to sell 31,500 season tickets for the 2010 season. 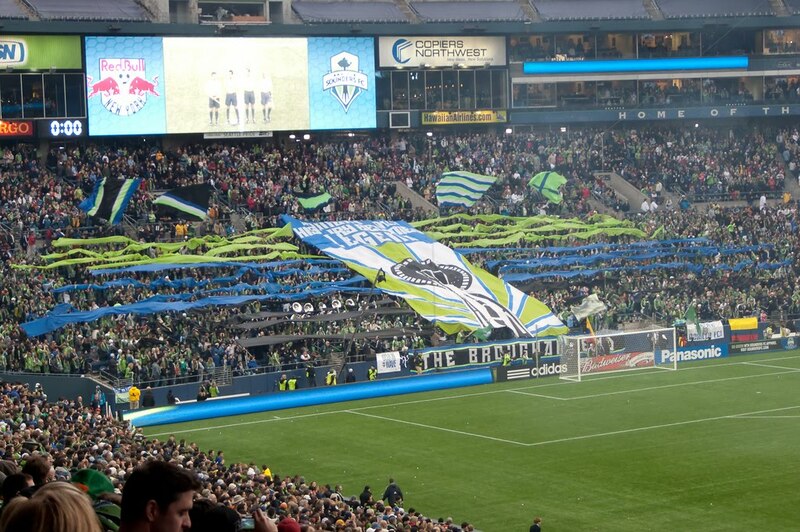 As an aside, tomorrow night's game in Seattle between the Sounders and the Philadelphia Union that will kick off the MLS season - and be broadcast on ESPN2 - is expected to draw upwards of 38,000 fans. Seattle fans will be out in force tomorrow night. So, the only teams really left out of the stadium movement are New England and DC. And yet, that could soon change as MLS commissioner Don Garber grows more frustrated with efforts in DC that have become bogged down in politics. Interestingly, Baltimore has stepped up to develop a plan for enticing the league's most successful club to the Charm City. But while Baltimore is an option for United, team president Kevin Payne - responding to Garber's comments - has not ruled out a space in DC or Northern Virginia. It's likely he fears the 40 mile distance to Baltimore would alienate the team's local, and incredibly loyal, followers. Overall, it's a novel idea to want to play a sport in stadiums specifically built for that purpose. Will 2012 be the true beginning of the league - a beginning, mind you, some two decades in the making? As some have said, you have to start somewhere.